There are many reasons why we should strive to end Black History Month. Why? Because only then will there finally be equality in our society. Until equal representation and integration of Black history is part of America’s history, the end goal of this movement will not be achieved. Black History Month first came about in 1926 when Dr. Carter G. Woodson established it as only one week in February. It was celebrated in the second week of February because it was the closest week to Abraham Lincoln’s and Frederick Douglass’s birthday. However, in 1976 the movement became held for the entire month of February. This month is dedicated to learning more about the struggles of African Americans and the many influential individuals. We learn about not only political activists such as Martin Luther King Jr., Malcolm X, W.E.B Du Bois and Booker T. Washington, but also many Black artists such as Langston Hughes, Maya Angelou, Nella Larson, B.B. King and Bessie Smith. Of course, these are only few of the many talented artists we remember. This month not only identifies the struggles many African Americans have faced in the United States, but what we, as a nation, have done or not done to recognize that struggle. The reason Black History Month began was to highlight the part of history often neglected from the curriculum taught in schools then and now. 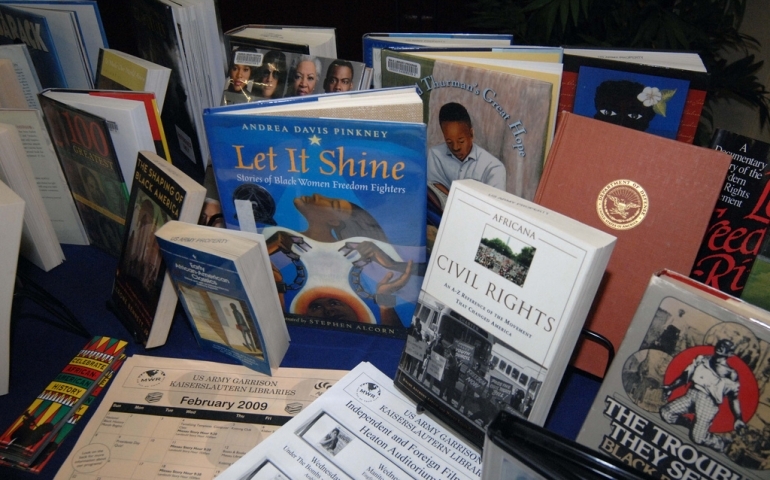 Often times, African American history, culture or literature is studied as an elective instead of part of the overall curriculum. In a world where we still do not fully represent the diversity and adversity many Americans have faced in this nation, Black History Month is needed to remind us of what we still need to work on. Now some may say Black History Month is just another form of separating the country rather than uniting it. It is not! It highlights the many times this nation has decided to not recognize the other side of history. Don’t get me wrong though. The goal is to end Black History Month, however, when that time comes there will be full recognition of everyone that has been a part of America’s development. One way you can participate in Black History Month is attending the Celebration of Gospel this Thursday. It will be held in the Herrick Auditorium at 7 p.m and can also count for one chapel credit. Also, these are great articles furthering the discussion about Black History Month and its significance. I encouraged everyone to read them! Be a part of the change!